There was bemusement all round as the implications of yesterday's recusal application by the Post Office reverberated around the court. 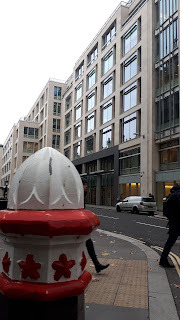 After the judge had risen for the final time, I cheekily asked a group of highly paid professional people (and some journalists) to give me their instant reactions: "Desperate", "astonishing", "a delaying tactic", "bizarre" and, intriguingly, "last throw of the dice" came back. Both legal teams knew what was coming - just - but the judge only found out at 1.55pm as he was about to walk into court. During the afternoon session he rose twice as everyone tried to work out what to do, which meant the journalists and court attendees standing around me had plenty of time to try to make sense of what they were hearing. No one could quite believe it. "The Defendant [the Post Office] applies for an order that, due to the apparent bias of the Hon. Mr Justice Fraser, as manifested in the judgment handed down in this matter on 15 March 2019, the Hon. Mr Justice Fraser shall no longer be the Managing Judge of these proceedings. The Defendant further applies for an Order that the ongoing trial in these proceedings, over which the Hon. Mr Justice Fraser is currently presiding, should be adjourned." "contains a great deal of critical invective directed at Post Office, none of which is relevant to the determination of the common issues. That... creates a clear impression that the judge has not behaved impartially. The same can be said for those parts of the judgment which harshly criticised Post Office's witnesses on matters irrelevant to the common issues." 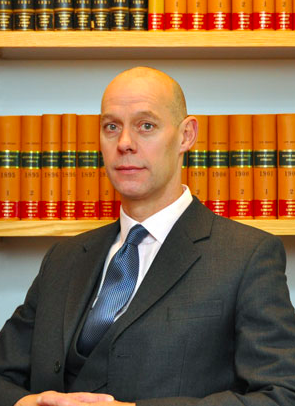 Patrick Green, QC for the claimants immediately stood up and said in response (and I paraphrase) "you'll need to be a bit more specific than that, chummy" - which takes us to the next step, the Post Office spelling out precisely where fair criticism becomes "harsh" criticism and "invective", and why that is evidence of bias. "The doctrine of judicial recusal dictates that a judge may recuse himself from proceedings if he decides that it is not appropriate for him to hear a case listed to be heard by him. A judge may recuse himself when a party applies to him to do so. A judge must step down in circumstances where there appears to be bias or ‘apparent bias’." "if a fair-minded and informed observer, having considered the facts, would conclude that there was a real possibility that the judge was biased, the judge must recuse himself." The oddest thing about the process is that the person who decides if the presiding judge is biased is the presiding judge. If he decides he's not biased then the Post Office can appeal, presumably to his boss, whoever that is. "We will continue with our programme to improve the way we work with postmasters and are urgently considering how we can accelerate this work and address the criticisms about our operations raised in the judgment." "It seems that Post Office’s current move is little more than what, in American Football, is known as a ‘Hail Mary’. 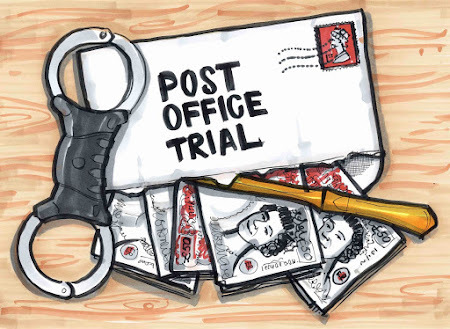 Having already thrown the ‘kitchen sink’ at the case, what is left for Post Office, nailing the doors of the court shut?" One correspondent via email said: "Post office are quite happy to trust the judicial system when going after subpostmasters. Paula Vennells once said something along the lines of 'after all it was the courts that convicted them.' I've seen first hand the effects of their bullying behaviour and can't believe their latest stunt." Another: "So its more of the same. We were hounded out of our money and lively hoods by an organisation using bully boy tactics with no redress and now the judge gets the same treatment. All this with public money and backed by the Government. Why am I not surprised." And: "If you don’t like the score, shoot the ref." Finally Mark emailed to say "WHAT ABOUT KIM? ", which was very funny, but unless you knew that I had Kim lined up to sub for me whilst I was away w/c 8 April, you may not have seen the joke. I have spoken to Kim, Mark. Don't worry,she is fine. The application to recuse does several things (even if it is unsuccessful), all of which favour the the Post Office. First, it buys them time to work out what their strategy is going to be in the face of the first judgment, which given they don't have one yet, suggests it was a big surprise. It continues to ramp up the litigation cost for the claimants. Most importantly it means any eventual settlement in favour of the claimants will be less than it might have been before the recusal application was put in. the claimants are funded by a group who, if successful will want a return on their risky and very large investment. If the claimants are successful, the funders will get their investment back, plus a multiple, which could be anything between 10% and 30%. Even if the claimants are succsessful and awarded ALL costs, the multiple has to come out of the damages. Damages which would otherwise be going into the claimant Subpostmasters pockets (or their creditors). Now - my legal contacts told me - just because a trial drags on, or one party drags it out, there is no scope for punitive damages. The claimants have made a claim, and the amount they can claim (if successful) will be decided according to a formula which will be agreed once all the trials are concluded and the judge’s findings are handed down. There is no scope in that formula for punitive damages or a reflection of the amount of time taken to complete the litigation. So if the litigation was decided in the claimants favour now - they would receive roughly the same sum as they would in a year or two years' time. But of course the costs keep growing, and so does the share of any settlement for the claimants which has to go to the funders. Obviously the Post Office’s application to recuse the judge delays the trial (possibly for several months), and that ensures the claimants will get less money (net) if they win. It also raises the possibility that if the Post Office successfully manages to drag the litigation on to the point at which the multiple on the funders’ costs would exceed the likely or possible damages, the claimants, if they win, could receive nothing, because their cash would be swallowed up by the funders’ multiple. A former barrister got in touch after I tweeted all this yesterday and suggested I was being a touch "pessimistic". Well, I am just repeating what I was told, but as I say, I may have got the wrong end of the stick. If anyone is the final authority on this - please get in touch! So is J Fraser about to get the heave-ho? Nobody knows. Another lawyer I met (they're everywhere) said part of the effect of this recusal attempt might lead the judge to be exceptionally careful with his language in his judgments going forward. I hope he continues to criticise where he sees fit. Judges sitting on multiple cases like this one are wide open to calls for recusal as individual judgements are made. That’s why Judges are urged not to recuse unless there is comprehensive evidence of bias. The application hearing will be on 3 April 2019 in open court. The judge may well reserve his judgment so there might not be a result that day. But as one lawyer said to me - "make sure you're there!" Oh yes. I will be.